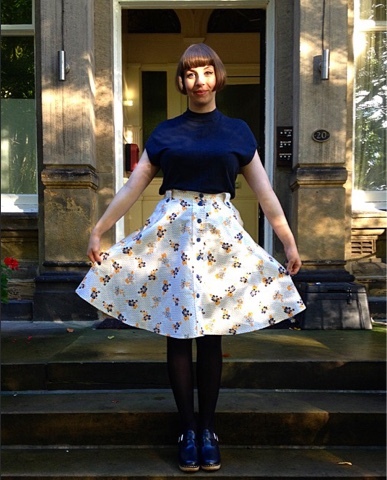 We're nearly at the end of it now, but happy Sewing Indie Month! The month is all about celebrating indie sewing patterns, and on top of that, there's been tutorials, sewalongs and some brilliant pattern bundles for sale (with 20% of proceeds going to charity too) - see all the action here. 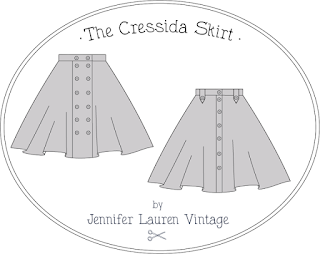 Here's my make from pattern bundle 1 that I snapped up in August - the Cressida Skirt by Jennifer Lauren Vintage Patterns. The pattern is sweet and feminine, yet simple in design and totally wearable. It also has pockets so it's practical too. 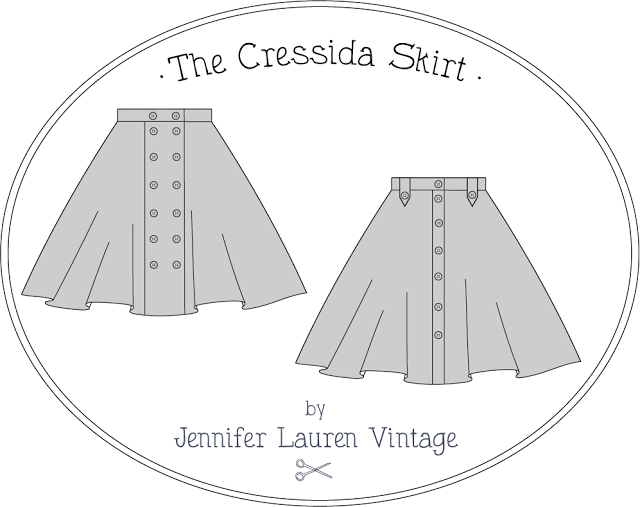 You can get plenty of button hole practice in with this make. The pattern offers really thorough instructions on making both versions, but button holes aren't my favourite so I stuck with the single row button placket rather than the double. 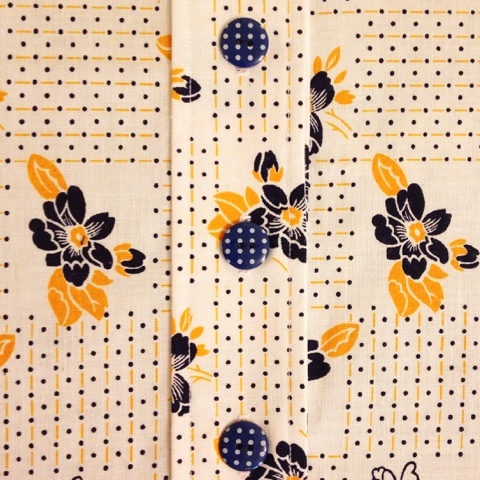 I made it up in this sort of twee and slightly unseasonal vintage cotton that I picked up in Oxfam. 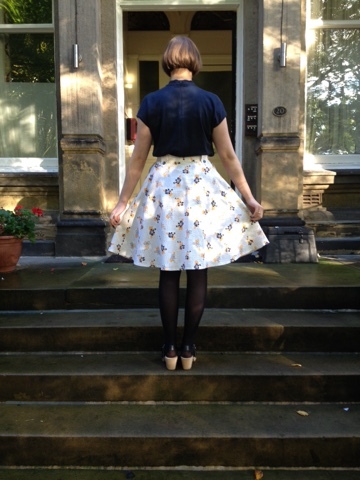 I've been steering clear of delicate florals, but the retro print really lends itself to the style of the skirt. 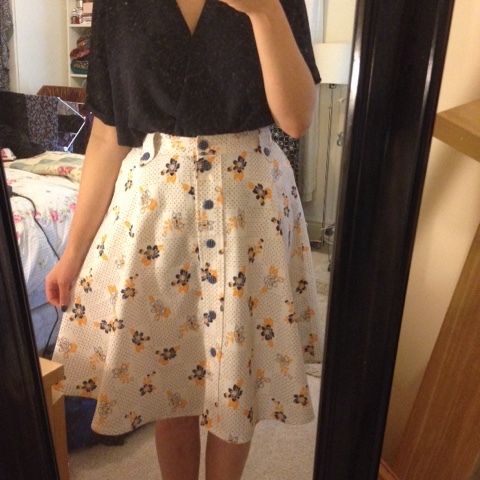 It's turned out pretty summery, but I think I can get a decent amount of wear out of it when paired with tights. I was in two minds whether to add the belt loops or not as I thought they looked quite big, but they actually make for a lovely feature. And luckily, I had just enough of these buttons in my stash. They've been hanging around for years, so it's nice to finally put them to use. Also I loved the technical challenge of a neat bit of top stitching. Another great thing about Sewing Indie Month is that you can enter your makes for the chance to win prizes. I'm going to submit this for the Everyday Casual Category which is being hosted by Mary at Idle Fancy. This category is for 'those pieces that can take you from brunch with friends to a day at the park. 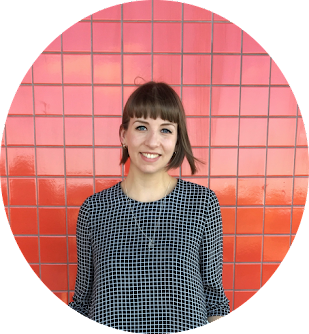 Comfortable, chic, and easy to blend into your busy life.' and I think this skirt fits that description pretty well. Did anyone else manage to grab one of the Bundles? I'm looking forward to making the Sew Over It Ultimate Trousers, and the True Bias Sutton Blouse. What will you be making? Your shirt is gorgeous! I've had my eye on this pattern for a while, but haven't got it yet. And what a great find on the fabric, it's lovely.